Clean and flexible wordpress theme, with big article images and nice typography. Very many settings. Many page templates. 5 custom widgets. Easy to add article and preview images. Check the “Introduction to the theme” article in the live preview for more information. All the documentation is also on the live preview. Also be sure to check out the example websites listed below. Many page templates (see demo website). Very many theme settings. Preview. Well documented (video tutorials, lots of documentation and a Forum). 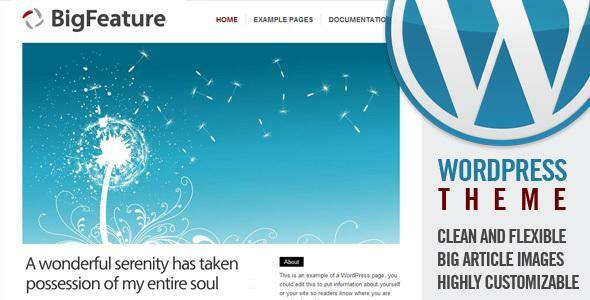 Share the post "BigFeature – WordPress Theme"